As someone who talks about saving money for a living, I am a sucker for coupons. Every time we get a copy of Mint Magazine (am I the only one who feels like they come almost once a week?! ), I check it out for 2 reasons. First, to see if there are any coupons for some of our go-to restaurants. Second, to find new restaurants that we can try at a discount. 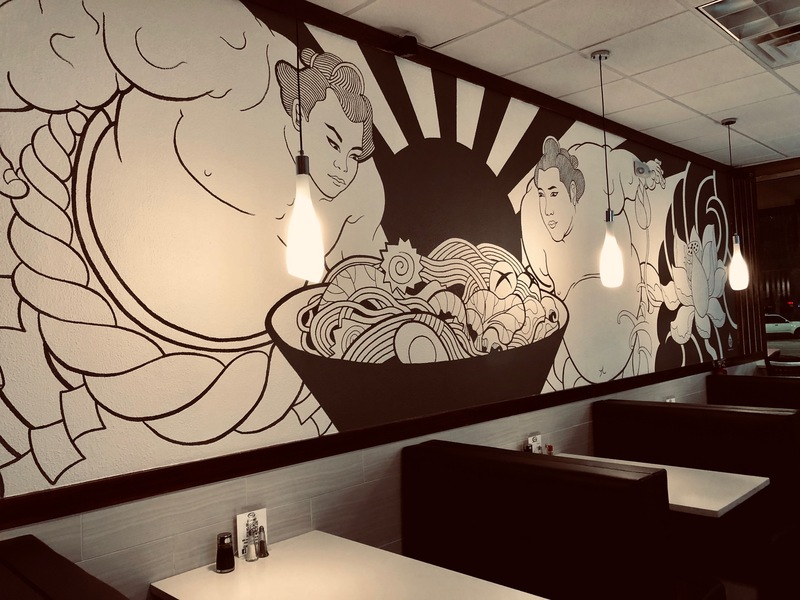 Tokyo Ramen and Burrito stood out; not only did they have sushi burritos on the menu, but it was also just across the bridge from Mandarin in St. John’s county. 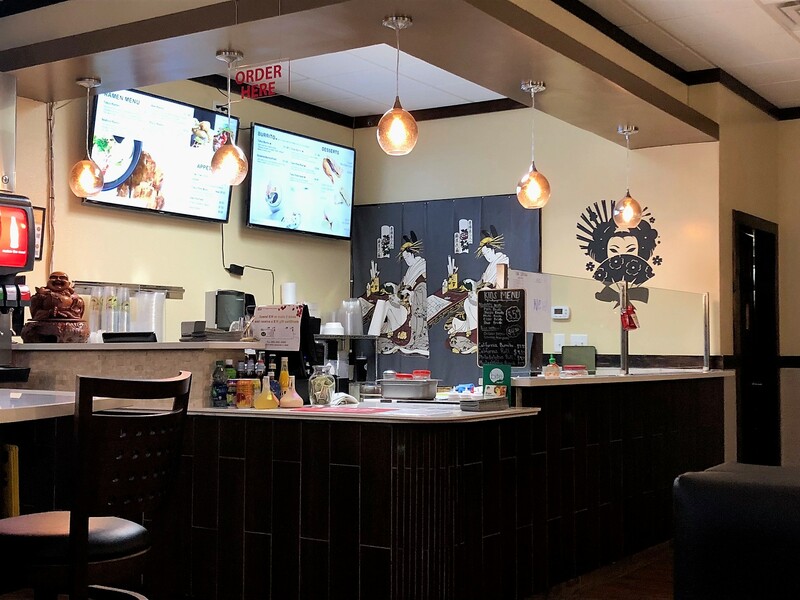 The restaurant is fast casual, you order at the counter and they bring your food to you. We tend to do a prelim menu viewing before dining out, creating a game plan. We decided on the Tokyo pork buns ($6.99), Tokyo burrito ($11.99), build your own poke bowl (mix 2 for $9.99), and Shoyu ramen ($9.99). During the short time we waited for our food, we checked out their condiment bar. Make sure you do the same when you visit! The pork buns came with 2, which is perfect for sharing. 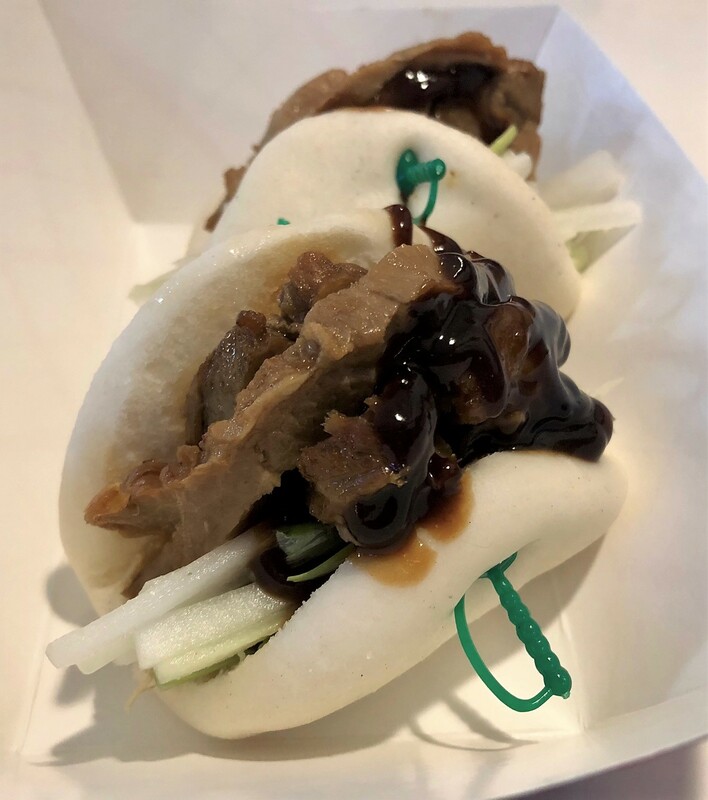 The bao bun was light and airy. I enjoyed the contrast between the tender pork and crunchy veggies. Hoisin sauce added a sweetness that balanced the savory. 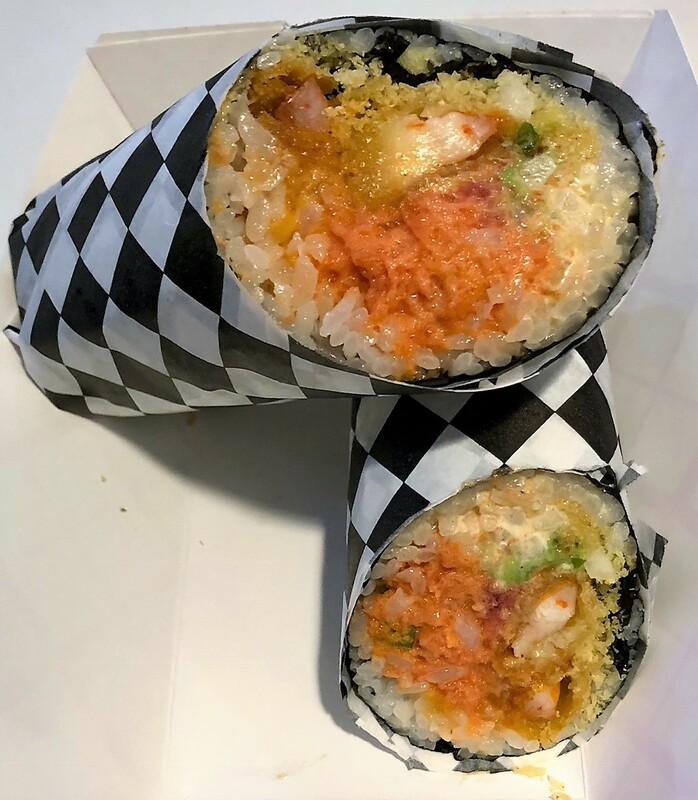 I had never tried a sushi burrito because I was worried about the texture of a bunch of raw fish (I am a picky seafood eater). I was pleasantly surprised by the Tokyo burrito. 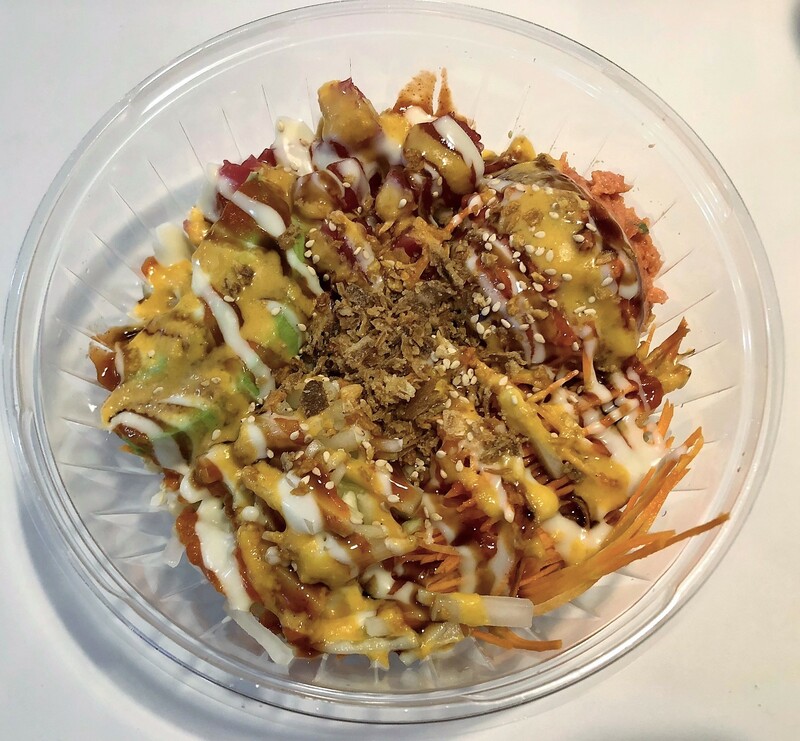 The spicy tuna and salmon were creamy with a little bit of a kick and the tempura shrimp and tempura flakes gave it a nice crunch. My only issue was the seaweed wrapper was more difficult to break through when taking bites than regular sushi. Coming from a family of “substitute this” “add that” type of people, I am big on avoiding those situations and enjoy when restaurants offer “build your own” options. You can build your own burrito, poke bowl, or poke salad. I decided on a bowl with brown rice, tuna and spicy tuna, avocado, cucumber and carrots. Learning moment- as a huge condiment person, I went a little crazy with the sauces. Although all were good, I didn’t realize they would put everything on the bowl. Next time I would ask for them on the side. I thought everything in my bowl was very fresh, flavorful, and filling. With the little room we had left in our stomachs, we started to tackle the big bowl of ramen. 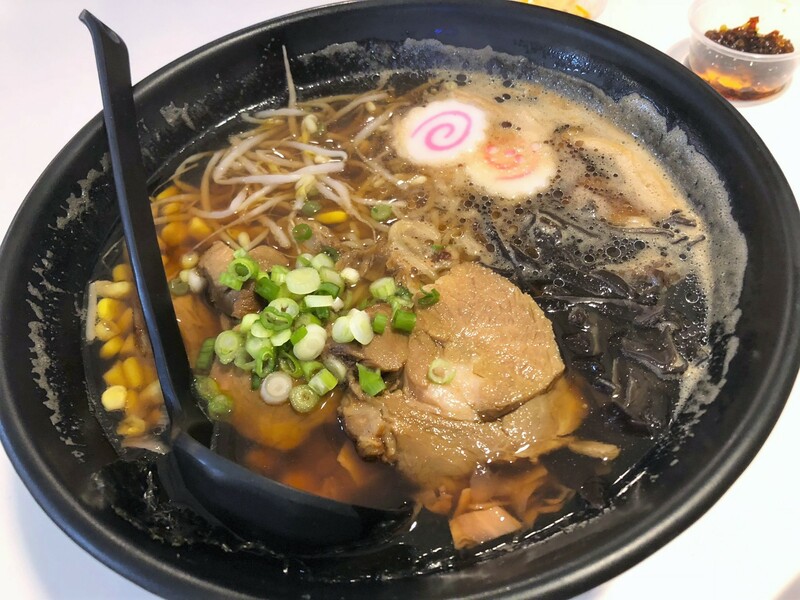 The broth was rich, coating your mouth and had a strong ginger flavor. It paired well with a cold Kirin. The char shu pork was tender (it was the same that was used in the buns) and the noodles were plentiful. With our 30% off coupon, we spent less than $40 for a TON of food. The owner was behind the counter and got excited that we had taken advantage of the coupon. They have been open about 7 months and are working to build up their clientele. Not only is the coupon out there, but they also have a punch card; when you spend $30 or more five times, you earn a $15 gift certificate. I will visit again and suggest showing this local business some love. Tagged asian food, Beer and Wine, Casual, Dinner, lunch, Ramen, St. John's County, Sushi Restaurants, trendy. Bookmark the permalink.